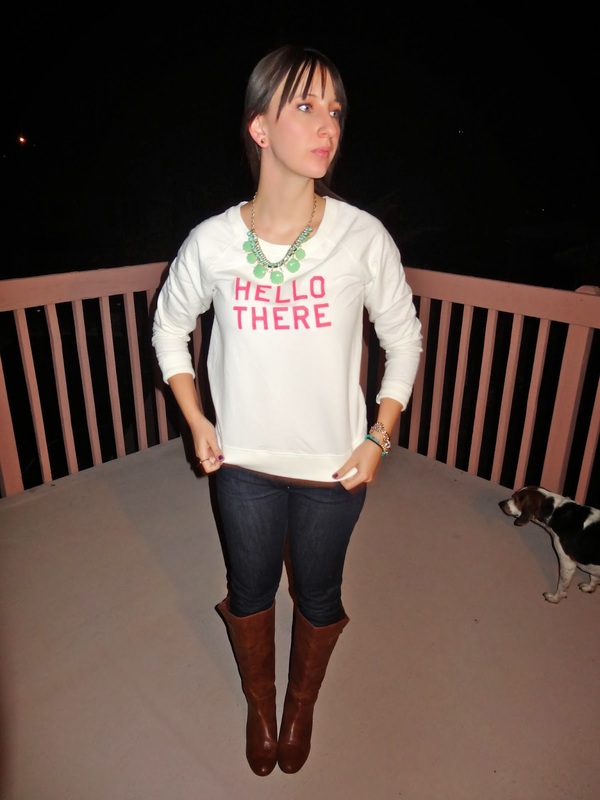 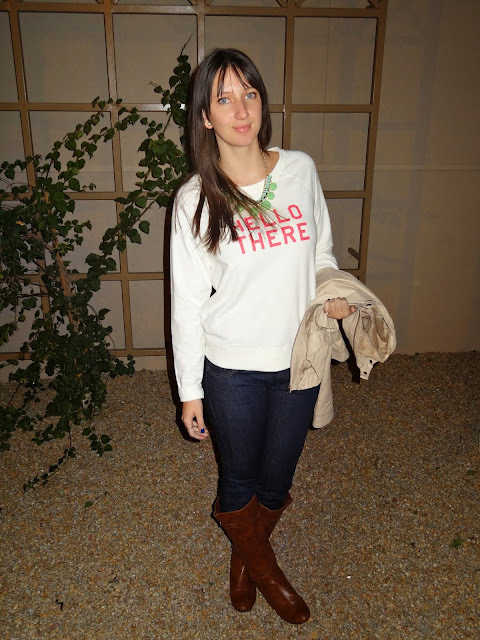 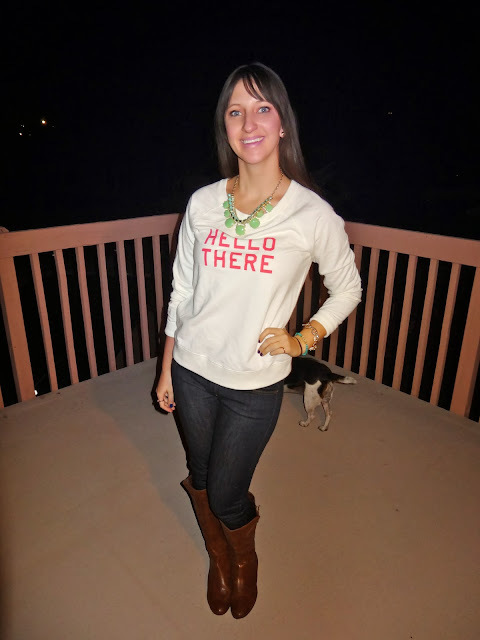 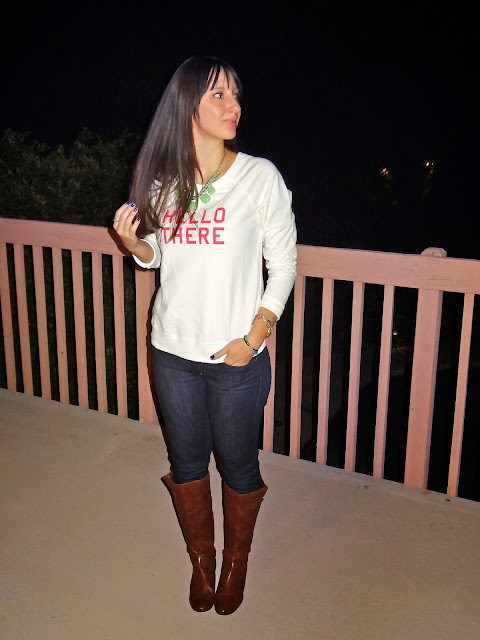 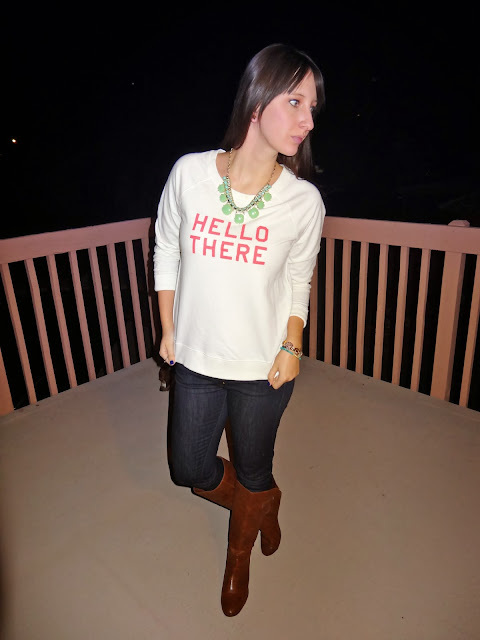 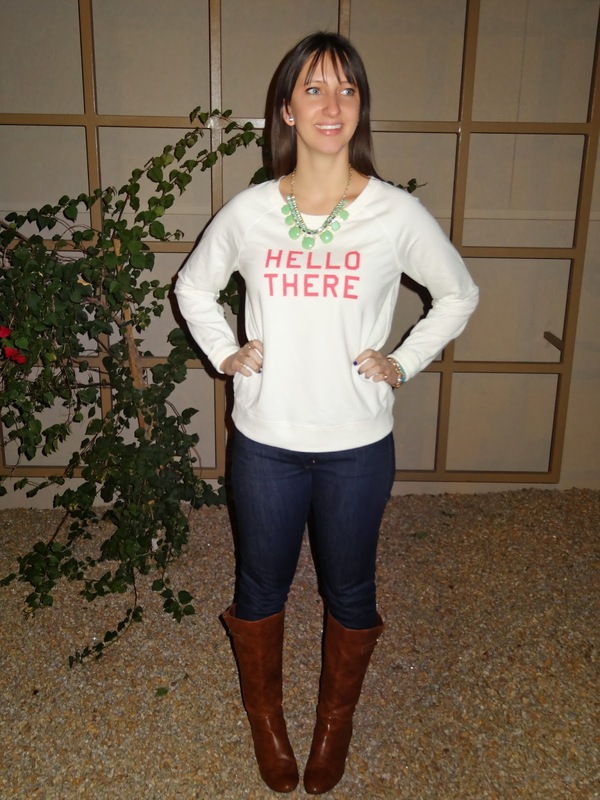 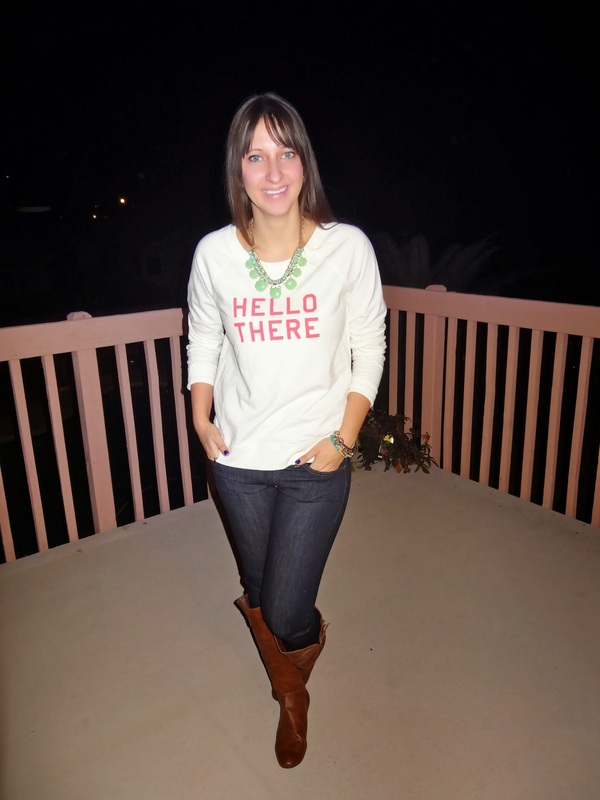 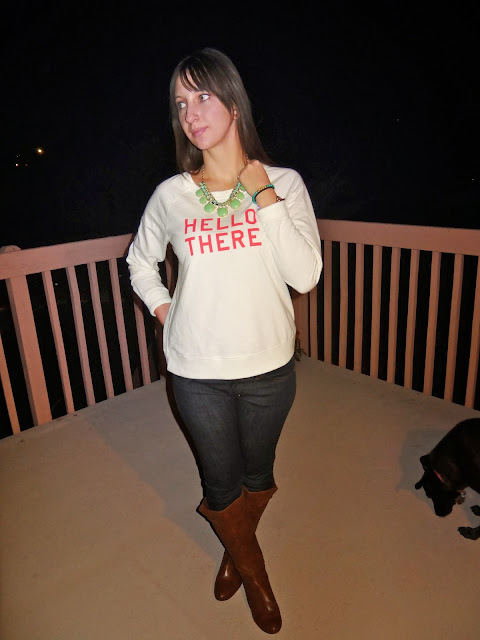 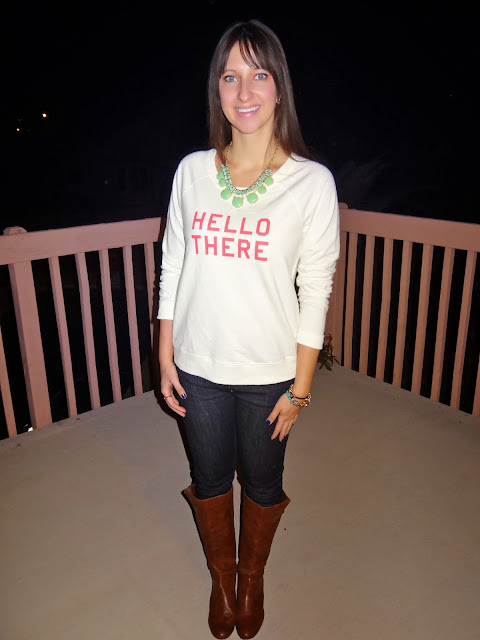 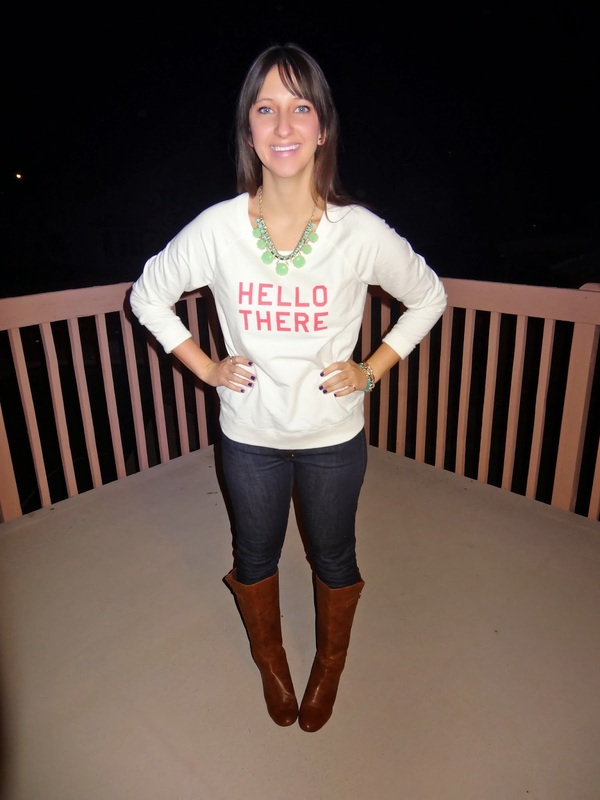 Today's outfit post features this simple but darling sweatshirt. 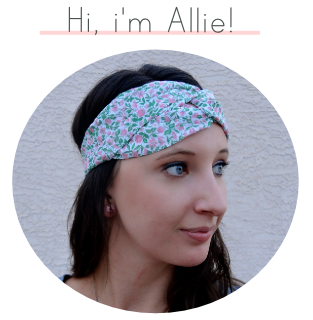 I think it is so cute-sy. Plus, it's really nice that fashion has taken a turn for the comfortable by making quirky sweatshirts acceptable weekend evening wear. 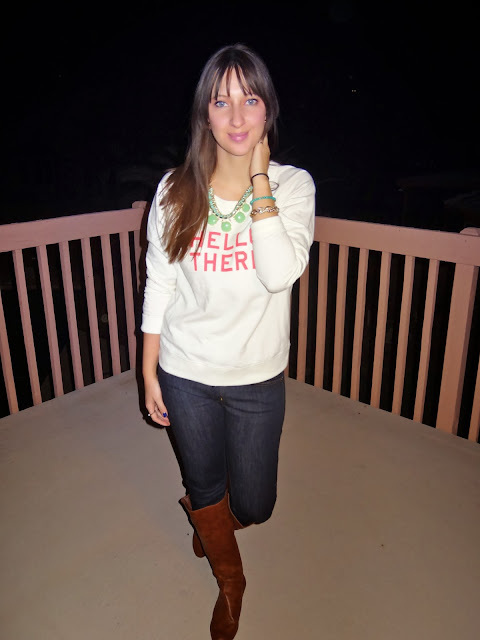 They are so easy to dress up or down. 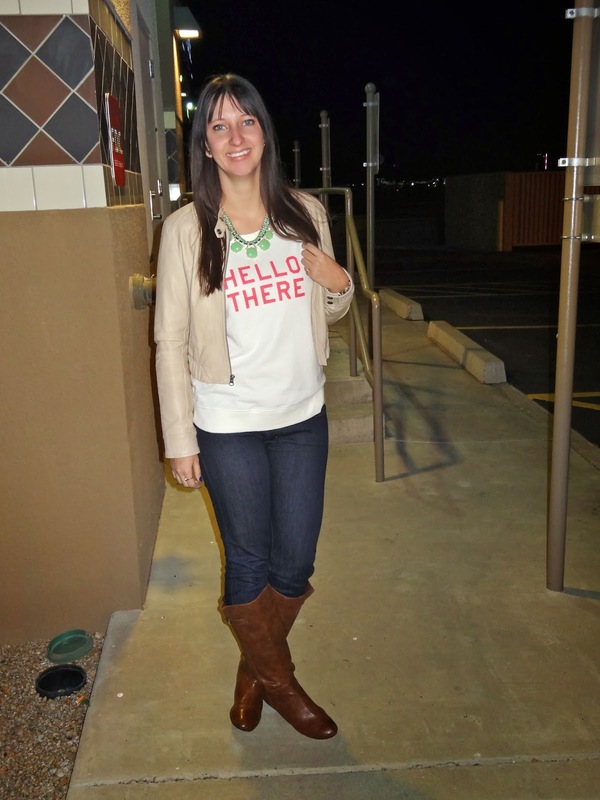 I just added this statement necklace & some boots and BAM! Outfit complete. 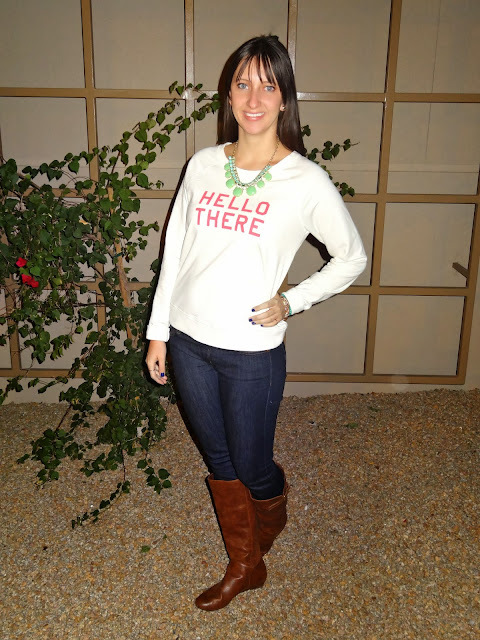 Use promo code "LASTCHANCE" for 25% off your OldNavy.com purchase until 12/17! Are you into the "sweatshirts as acceptable clothing outside of the house" trend? 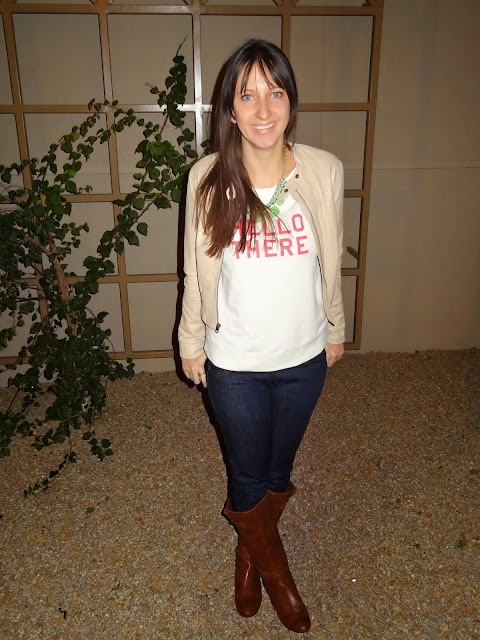 I am so on board, because it means I can be seen out in public and not be considered a slob - yet I'm total comfy & cozy :) And, in my eyes, you just can't beat that! 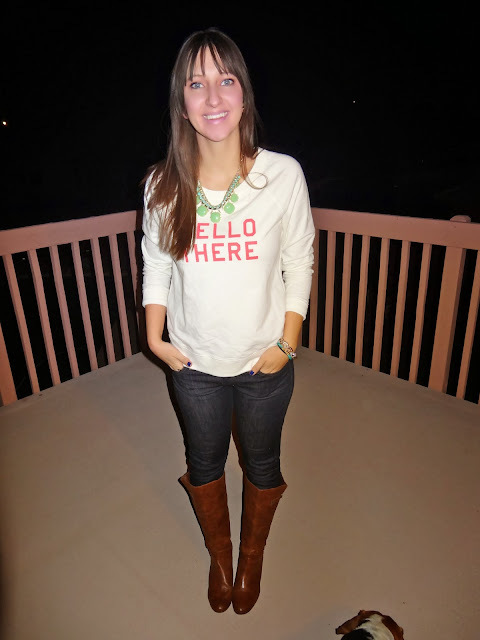 Don't forget to enter the first blog-iversary Urban Decay Naked 3 Palette giveaway!